Nine individuals are slapped for organizing the illegal Donbas elections. 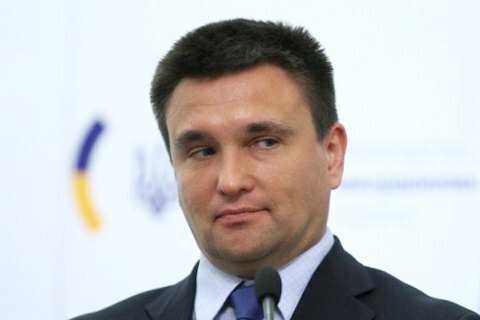 Ukrainian Foreign Minister Pavlo Klimkin has thanked the EU foreign ministers for their decision to introduce restrictions on those responsible for the so-called elections in the temporarily occupied territories of Donetsk and Luhansk regions. “Grateful for EU decision to impose sanctions against those responsible for fake ‘elections’ in Donbas. Today at FAC I’ll ask Ministers to give complex and clear answer to Russian aggression in Azov," he tweeted. He added that the EU foreign ministers would discuss the EU support to the Azov region affected by the blockade of the Kerch Strait. On 10 December, the EU foreign ministers approved restrictions against nine people responsible for the organization of the 11 November “elections” in the temporarily occupied territories of Donetsk and Luhansk regions. The elections unauthorized by the Ukrainian government took place despite the international community's strong warning and condemnation.